These three words summarize Komodo\'s evolution, as it runs even faster on multi-processors, uses all the software speeds gained to add more knowledge, and defeats previous number one programs by unheard of scores. 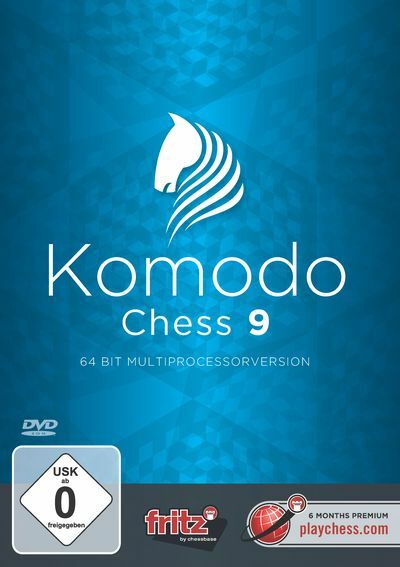 Komodo is a chess program that is different from the rest. Its search makes greater use of extensions than any other top engine, which allows Komodo to often see deeper than the others, even if it is displaying a slightly lower search depth. The evaluation differs from its main rivals because it represents a blend of both automated tuning and the judgment of a grandmaster and computer expert (Larry Kaufman). Fully automated evaluations are subject to rather large sample error, and applying some human chess judgment is beneficial, both in results and solid evaluations. Komodo is primarily known for superb positional play. Of course it is also one of the top engines in tactical strength, but the programmers have not been willing to sacrifice positional play just to score better on tactical problem sets. All good engines are far stronger tactically than any human player, but when positional judgment is involved, top grandmasters are still superior. Therefore it makes sense to emphasize positional play rather than only tactical skill; it is better to improve the program\'s weakest point rather than further improve its strongest feature. Komodo is especially useful for opening analysis, because its grandmaster programmer has made sure that the program\'s evaluations generally agree with accepted theory. Komodo also excels in the evaluation of positions with material imbalance, which it handles more intelligently than other top engines. The endgame of Komodo has been improved by the use of Syzygy tablebases*, which employ only the most essential information, to save computing time and memory. Another unique feature of Komodo is its superior performance when using eight or more cores. A ChessBase PREMIUM Account: six months online access to Playchess.com, ChessBase Live Database, Let�s Check, Engine Cloud, Tactics Training. Internet access for program activation, access to Playchess.com, Let\'s Check and program updates.